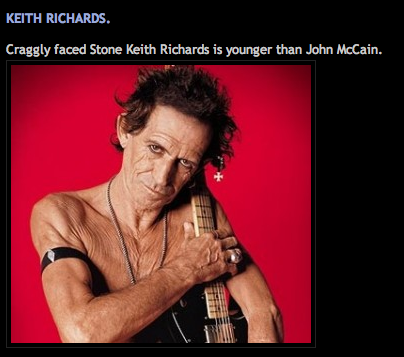 The snarky Things Younger Than John McCain blog is hilarious, yet scary on many levels. Too bad the author has elected to remain anonymous. Younger than McCain: Kodachrome, Alaska, Plutonium, McDonald’s, Bugs Bunny, the polio vaccine, and both of Barak Obama’s parents. Got a suggestion? Send em in. You were correct is saying it would be scary!